Since I moved out of my family home back in 2012, I've had somewhat of a mild obsession with decorating my home with candles, potpourri and reed diffusers. If it smells nice and looks pretty, I'll buy it! Even if it just perches on a shelf as a decorative piece looking pretty, just waiting in the queue of things to be used, I'll just keep getting more! (Please tell me I'm not the only one who can't leave a home store without buying at least one candle?!). 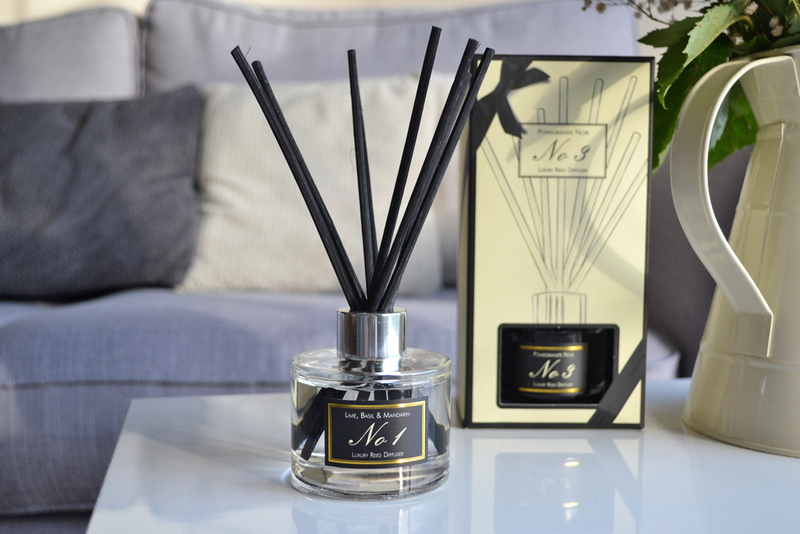 Having the scent of a gorgeous candle or reed diffuser filling my home is one of my little joys in life, and so I'm incredibly happy that Aldi have just released this new range of reed diffusers to compliment their existing range of luxury candles. Although I'm now a bit worried about how much I might spend in store when I just pop in for some milk! 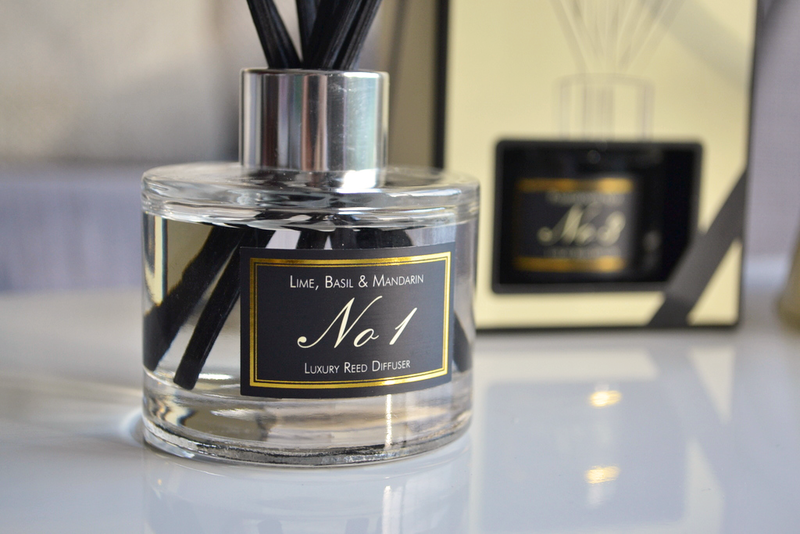 The new trio of diffusers are available in the following fragrances; Lime, Basil & Mandarin, Pomegranate Noir and Freesia & Pear. The first two have been available since 5th September whilst the latter launches today! If you've seen the candles in store and given them a quick whiff, you'll know that they don't smell 'cheap' at all; the scent seems fairly strong but not overpowering, and the components of the fragrance seem to go together beautifully (and don't leave you with a headache like some budget candles do!). Although the reed diffusers have swapped the candle scent 'Blackberry Bay' for 'Freesia & Pear' meaning they don't match up perfectly (I'm not sure why Aldi have done this! ), the three-piece launch is certainly worth nabbing if you're popping by your local store anytime soon. 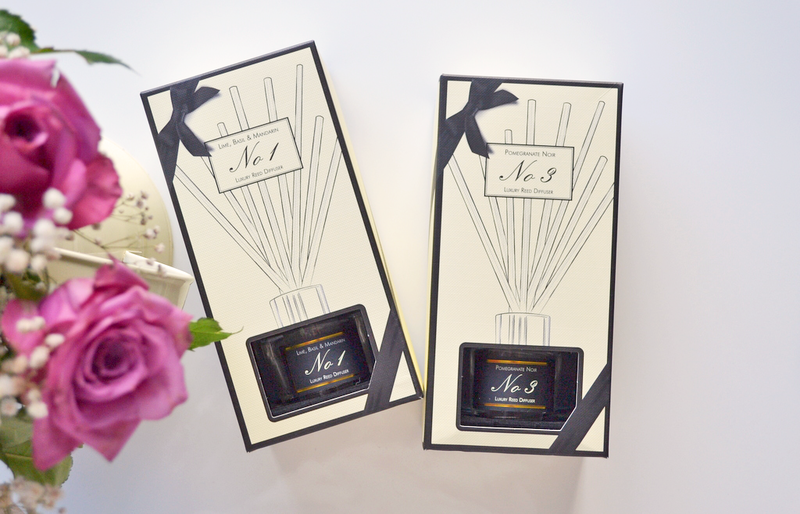 You may notice that these reed diffusers (much like the candles) are heavily inspired and influenced by infamous fragrance brand Jo Malone. Although I've never had any Jo Malone products before so I cannot directly compare the fragrance itself (perhaps one day...), I have heard from others that they don't actually smell that similar to the Jo Malone originals. Regardless, the Aldi versions aren't half bad in their own right. 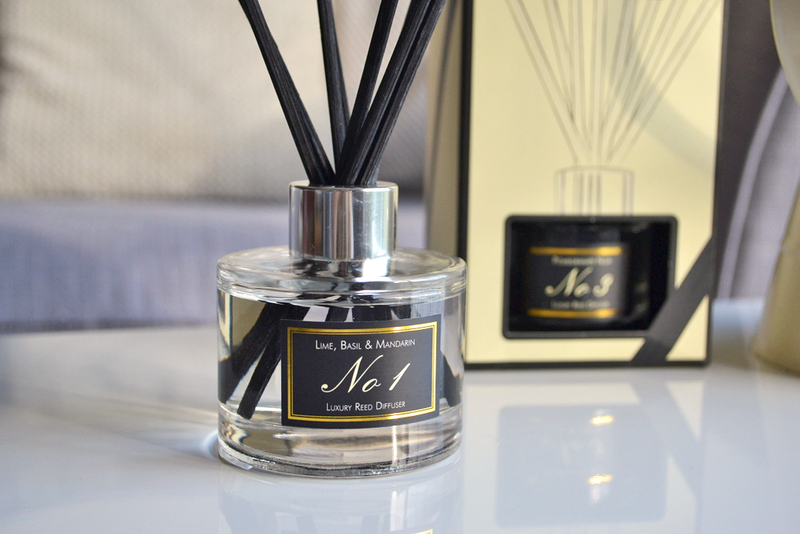 The Lime, Basil and Mandarin scent is a light and refreshing fragrance that would go perfectly in bathrooms, whilst Pomegranate Noir is warmer, sweeter and best suited for cosier environments like bedrooms or lounges. 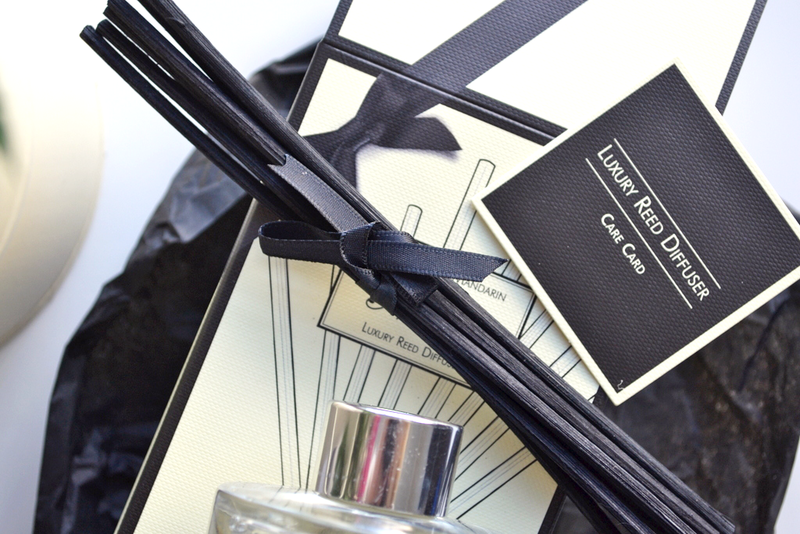 Both are unique, although I personally prefer Pomegranate Noir (simply because I prefer those heavier fragrances with products like this, as opposed to more citrus ones). 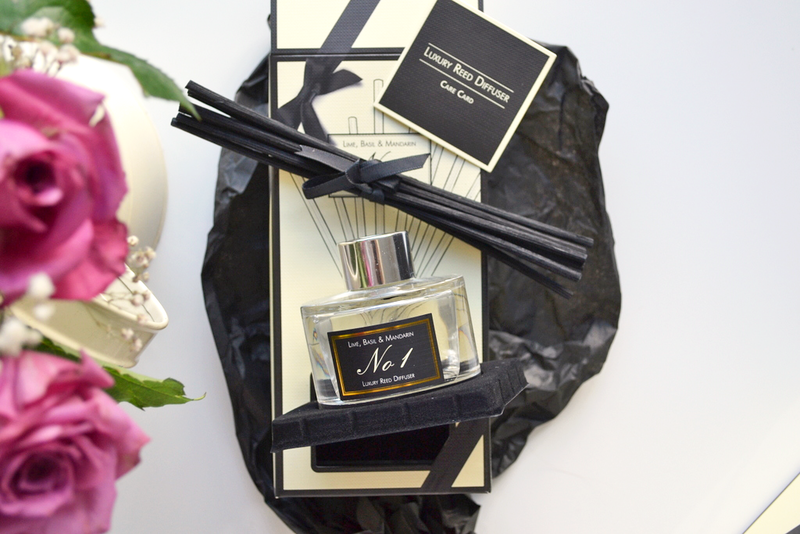 For £3.99, it's such an affordable range that looks the part; the packaging is incredibly sleek and well thought-out and similar to JM (even down to the black reeds wrapped in a ribbon) so you can get that little bit of luxury for a fraction of the price. 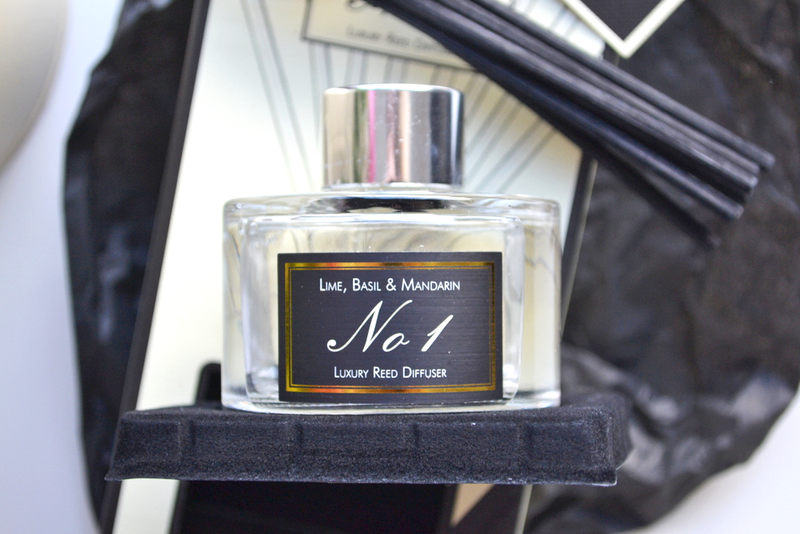 Whilst the fragrances are nice, you can still tell they're not truly high-end versions, so if you want that perfect, long-lasting and luxurious scent I would stick with the real deal! However, for little stylish pieces that will still fill your home with pretty smells, these will do the job well and won't break the bank. I know it's probably too early to get festive...but Aldi are also going to be launching a candle/diffuser gift set at the start of December which would make great little Christmas gifts (for loved ones and Secret Santas alike!). Definitely check them out next time you're in store! Are you a fan of Aldi home & beauty products? What dupes have you been enjoying at the moment?